The July 26 federal court deadline for the Trump administration to return more than 2,500 migrant children (aged 5–17) to their families has come and gone, and it is clear that the administration has fallen short of full reunification. According to a July 26 California district court filing, the administration has reunited only slightly more than half (1,442 of 2,551) the separated children with their families. The big picture: The debate around family reunification failure is often perceived as one between restrictive and open immigration standards, but that is not the central issue. Rather, the question is to what extent the U.S. government should uphold a standard of competence and a commitment to basic human dignity in carrying out all its policy positions. 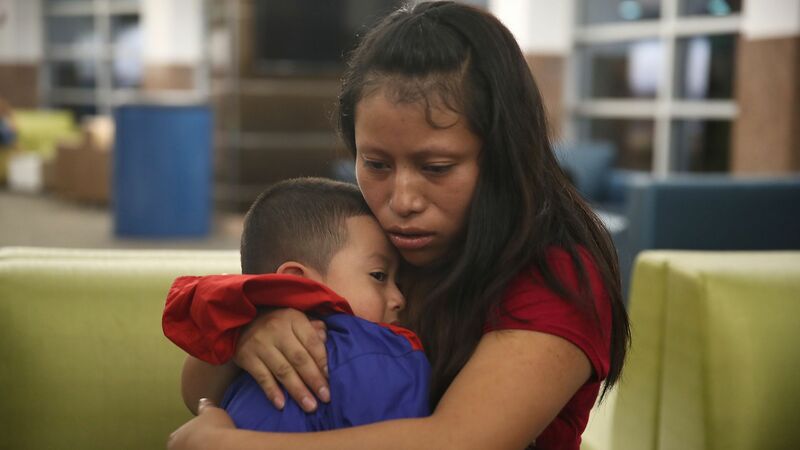 The details: The July 26 filing also indicated that more than 700 children had been classified as ineligible for reunification or "not available for discharge at this time." Poor record-keeping and a lack of clear process from the initial stages have made it prohibitively difficult to find some families and reunite small children, some of whom are younger than five. The U.S. government has a responsibility to execute its functions — regardless of the particular policy in play — in an effective manner, which includes basic record-keeping as well as effective and clear communication with those impacted by policies. Likewise, in view of its history of championing human rights, the U.S. holds a moral and ethical responsibility to treat all people in the country — citizens or not — with basic human dignity. The bottom line: The government can carry out tighter or looser immigration standards without sacrificing efficacy or violating human rights. These traditionally are not considered variables contingent on policy, but rather the premises upon which U.S. democracy operates. Nicole Bibbins Sedaca is a professor at Georgetown University's School of Foreign Service.